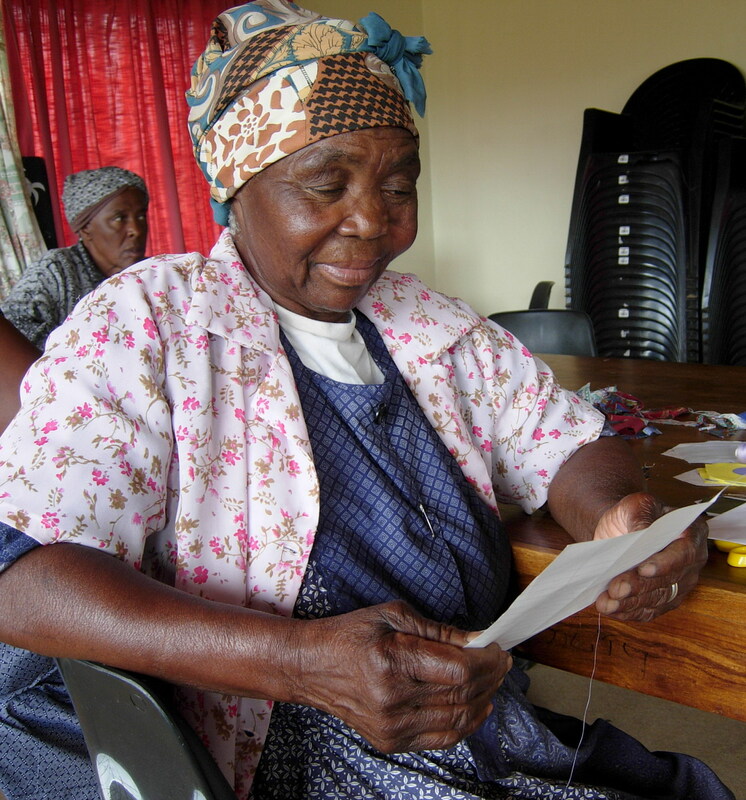 In December 2008, Susan Fenner, the chair of Grannies a Gogo, personally delivered letters from the Vernon, Canada grannies to their partners in Sabie, South Africa. She captured in photo images the poignancy of these developing friendships. Emma Mambene of Sabie reads her letter from her partner, Shirley B. of Vernon.